Woodworking is a very pleasurable activity to engage in. But when it comes to woodworking, safety and health are extremely important. Workshops are bursting with dangerous tools and equipment. Also, they can release huge volumes of sawdust, which can be detrimental to your health over time. And perhaps you thought that wearing a mask and safety eyewear is enough, but it is not. Dust particles can work their way through even the tiniest holes in your mask, and they also linger in the air you breathe for a very long period. 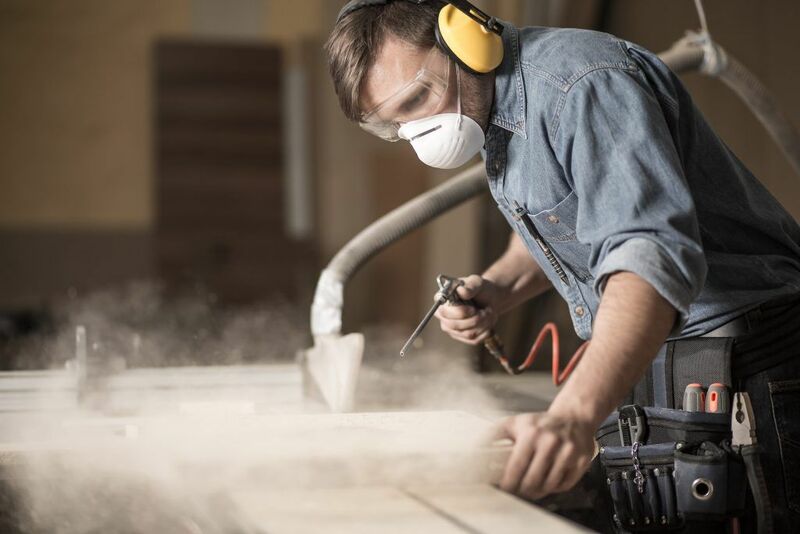 One plausible way to prevent dust particles from entering your airways is to purchase and use a reliable dust collector product – a tool used by skilled and experienced woodworkers because of its benefits. Dust Collector: A Tool or Accessory? If like me you are concerned with your safety and health, then the best dust collector product can be an indispensable tool for you. Dust particles can be quite harmful – especially to those with the weak immune system – once you’re exposed to it for long periods. While many people would consider them only as an accessory, dust collectors are extremely important to keep your air clean, breathable, and free of dust and harmful particles. In this article, we’ll take a look at five dust collector products so you can choose the best product to keep your shop dust-free. But first, let us explore the different types of dust collectors. Depending on your needs, you can choose one to several. So it’s crucial that you know each type by heart. If you have a small, limited-spaced workshop along with a couple of power tools, then a portable dust collector may be your best choice. With motors of a maximum of ¾ HP and a 650 CFM, these tiny appliances can vacuum nearly all of the dust in your space. And because of their portability, you can save workshop space by simply mounting them on your wall. On the other hand, these versions aren’t so big and gather dust only to a certain degree. Because air needs to flow back into the workshop, these portable appliances do not trap all dust particles within the bag. And with tinier portables, you will also have to empty out the dust bag more often. A bigger workshop with a great tool selection might gain more from a medium-sized dust collector. Usually, motors from these versions develop 1 HP, and it has a CFM of around 700. These models generally include a disposable collection bag – where one bag will collect larger dust particles while the other trap fine particles. This level of dust collection isn’t suited for handling a duct system. Also, they tend to be limited to one outlet, such that you can only connect a single power tool at a time. Do you happen to have a bigger shop and wish to set up a dust system to hook up numerous tools in a single go? If so, then you will need a big industrial collector with a 1.5 HP motor and an approximate CPM of 1100 to 1200. They also include filters that collect dust particles down to as small as 1 micron. Perfect for router tables, sanders, shapers, and other tasks. 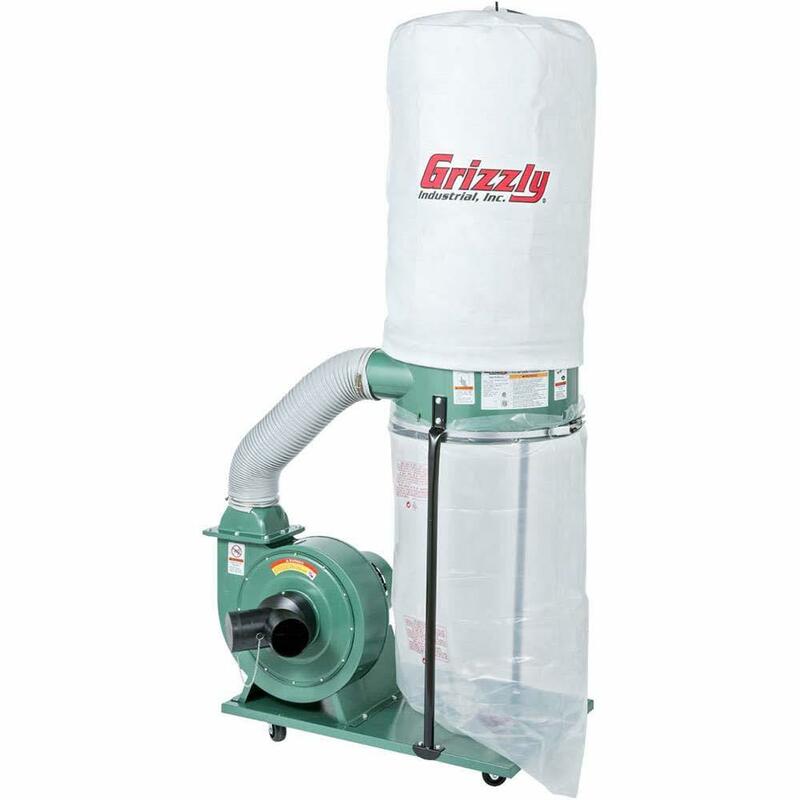 The first time I saw the Grizzly, I knew it was a very dynamic dust collector because of its 2-intake performance. I like the fact that it is quite durable – being a Grizzly brand – and that its 1.5 HP motor is capable of producing 1300 CFM over the double 4 intakes; enabling it to handle two machines. But what I truly like about this machine is the 2.5-micron bag which works wonders is dusting fine particles and also easy to reuse after emptying the contents. So I am confident machine will make your workplace quite breathable. For me, the dust collector is one of the best because its amazing features - a 1.5 HP, single-phase motor that functions at 3,450 RPM, together with a long-lasting, steel impeller of 12 inch that moves 1,280 CPM. I am also impressed with the tool’s powder-coated finish that is resistant to fading, scratches, chipping, or other wear. Now is the time to keep your workspace dust and debris-free with Woodstock International’s Shop Fox W1685 dust collector. The brand itself gives me confidence in this item. 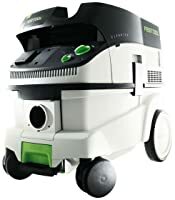 Festool has designed the CT Dust Extractors to easily connect with the tools and collect the finest particles at its source. That’s why I find this tool quite convenient - it eliminates the clean-up process, creates smoother and cleaner finishes, extends tool life and protects the air you inhale. With these advantages, it is apparent that Festool’s method is among my favorites since it prioritizes a cleaner working environment. That is the reason the company has lined up products that help you in any job – small or large. I can’t help but admire the many features of the PM1300TX-CK that enable straightforward and convenient use. The canister filter is an excellent filtering surface over the standard bags, while the collector bags have large capacities - which enables less down changing time. The metallic duct improves sturdiness and air flow, while the impeller is powered by a motor at 3-horsepower for maximum performance. Four heavy-duty casters allow for easy portability within the workshop. 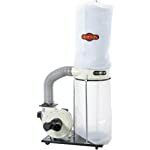 The incredible Jet DC-1100VX has the exclusive Vortex Cone feature that improves chip separation to stop clogging of the filter, as well as double the collector bag’s packing efficiency. The high CFM (air velocity) stands up to whatever competitive specifications. The durable industrial controls are made for years to last. I also find it quite convenient that the collection bags include a snap ring for quick set up and removal. Casters also provide maneuverability in the shop. Airflow is possibly the most crucial feature to consider when purchasing a dust collector. The air volume is measured in cubic feet per minute (CFM). Such a rating is very useful is serving as a benchmark even without the static resistance factor. Portable machines generally deliver 650 cubic feet per minute. Bigger extracts can fit most home workshops while delivering 700 CFM. The really heavy-duty commercial items are capable of delivering 1100 CFM and beyond. Power tools can be quite noisy. Excessive noise can be a nuisance while you’re working. There seems to be no way around it and that’s why ear defenders were created. Just like most craftsmen, I think you would also want the quietest equipment while still maintaining good performance. A number of manufacturers will record their dust collector’s ratings. The lower the rating, the quieter the item – the better it would be. These items usually feature blowers and filter bags. Smaller particles like dust are trapped by the woven cloth placed on top while larger debris is deposited into the bag. It’s these tiny particles that can do the most harm. While such filtration systems were once expensive, the technology was enhanced and mass-produced such that they are now integrated into high-end models. Two-stage filters are generally present in heavyweight models. They have a 3-stage system that begins with capturing larger debris. Such filters work well and yield excellent results. Although most filters have the same functions, not all of them are as efficient in getting the job done. It is very important that fine dust is also collected along with the large debris. It is the fine dust particles, not the larger bits of wood that are harmful to the airways. Generally speaking, the finer the weave is over the filter cloth, the more effective it is in trapping tiny particles. So make sure your dust collector contains this effective filtering system. Be sure that the dust collector you want to buy is sturdy enough for your projects and workshop. As a general rule, the bigger the shop, the bigger the item you will need. It is all about possessing a system that will serve your purpose and there is no single right choice. You basically have two options here – a fixed or portable dust collector. If you have a big space, then a fixed system would be good. If you have a small, home workshop, then it only makes sense to get a portable version. The best size for a dust collector would one which will best suit your needs and fit your workshop space. In a home or the shop, dust control cannot be just an extra. Not if you wish to save cost, time, and mess of dealing with the matter later. If you have a big shop and you want everything clean and dust-free, purchasing the best industrial dust collector product is a huge advantage and a must! It is just a matter of which size displays the best results. The five best dust collectors we reviewed in this post are all excellent in their own right and as we’ve emphasized in this post, your choice will depend on your workshop needs and space. I particularly like the Jet DC-1100VX-CK because I have a big space and I like the 2-micron canister kit – it assures me that the tiny dust particles are filtered out. Which among the five best dust collectors is your top choice? Feel free to share your thoughts in the comments, we’d love to hear from you. And don’t forget to share the post with your friends who love woodworking as much as you do.